Do you want to get scuba certified? In this article, we explain how and why you should get scuba certified to become a open water scuba diver. Are you looking for an alternative for a PADI dive certification? In this article we review 3 scuba certifying agencies as an alternative to PADI. 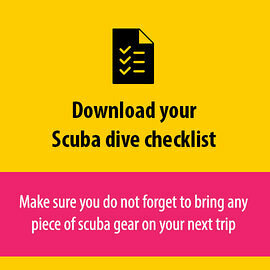 Are you planning to take a scuba open water course? In this article we give 7 tips on how to pass your open water like a pro without breaking any sweat. Padi vs. SSI, these are the differences you should know about! PADI vs SSI who will win? PADI and SSI are 2 of the biggest scuba certifying agencies but what are the differences between these 2. In this article we focus on the differences between PADI and SSI? Why start your scuba lessons via PADI eLearning? This article explains why PADI eLearning is a great way to save time when you start your scuba lessons. Why Should I Get Certified as a Divemaster? The divemaster course is the first profesional course offered in scuba diving. Divemasters can work in scuba diving all over the world. Why Should You Get Certified as a Rescue Diver? becoming a rescue diver is the last step before becoming a scuba pro. The rescue course is one of the most rewarding and challenging. In this guide we will shine a light on the different age limits the major scuba certification agencies use before you can start you scuba lessons. Are you looking for information regarding the PADI advanced open water diver course? In this blog post we explain why it is good to continuing your education. So you want to learn to dive? One day you wake up and think “I want to be a scuba diver” I want to learn to dive. There are multiple organisations who could help you to learn to dive. Most kids love the water, even before they learn how to swim it still offers lots of fun possibilities to them. Once they do learn to swim and any initial fears have been quashed, they will begin to get adventurous. For those who are interested in turning their love of scuba into a paying career the PADI Divemaster course could be the way to go. The course will allow you to expand on your existing scuba diving knowledge and polish your dive skills to a professional standard. After the try dives me and another Dive Master Trainee did our equipment exchange, it was hilarious. We had different cylinders (me with a 10 and the other one with a 12) and also different weights in the BCD and on the weight belt.